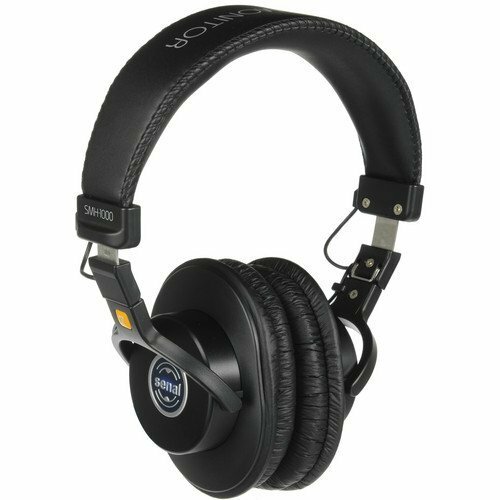 The Senal SMH-1000 and the Sony MDR 7506 are both professional quality headphones designed for use in either the studio or at home. Both have similar features and are in the same price bracket, so how do you know which headphones are better? We have made a list of the key features of both the Senal SMH-1000 and the Sony MDR 7506 to see which ones we think come out on top. Both the Senal SMH-1000 and the Sony MDR 7506 feature large padded ear cushions with ear cup that sit over your ears, lessening the pressure on your ears when you’re wearing them for long sessions. The ear cushions on both models are wrapped in a soft leatherette fabric. The two sets of headphones are designed to be worn for long periods of time and are lightweight, with each of them only weighing 8 ounces. Both models feature padded headbands that can easily be adjusted to fit your head. The Senal SMH-1000 and the Sony MDR 7506 are both closed back headphones designed for monitoring, so they will help to limit exterior sounds from interfering with your audio. Both models deliver a more accurate sound reproduction and both have a frequency response rate of between 10 and 20,000 Hz. 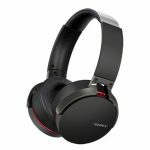 The two sets of headphones feature 40 millimeter neodymium drivers and the Sony MDR 7506 has a sensitivity of 106 dB compared to the Senal SMH-1000 which has a sensitivity of 102 dB. The Sony MDR 7506 has a higher impedance of 63 ohms compared to the Senal SMH-1000 which is 58 ohms. The Sony MDR 7506 features a 9.8 feet coiled cable to allow you more movement around your studio or home but the Senal SMH-1000 benefits from having a detachable cable so you can easily switch to a cable length that best suits your environment. The Senal SMH-1000 has the advantage of replaceable ear cushions to extend the life of your headphones. Both models are sturdy and durable and fold into a convenient shape that’s ideal for travel and storage, with the Sony MDR 7506 having its own travel pouch. Both the Senal SMH-1000 and the Sony MDR 7506 are designed to be used with a wide range of audio equipment and will work at their best with studio quality audio devices. With the low impedance rate on both headphones they will also work well with portable audio devices, such as phones or laptops, but may require an amp to get the most of them. Both models have a 3.5 millimeter jack cable with a screw on 6.3 millimeter adapter so you can easily switch between devices. The sound quality from both models are ideal for monitoring but will also work well for watching movies and gaming. After looking at the features of both the Sony MDR 7506 and the Senal SMH-1000 we think the better headphones are the Senal SMH-1000. They have the benefit of a detachable cable, making them more versatile for other activities outside the studio. While both models will produce a similar sound the Senal SMH-1000 wins on practicality and gives a better sound when used with portable devices.